Print your pictures on High Quality posters. Perfect to personnalize your inside. Vibrant colors and good conversation in time. High-end print on 230g/m² paper. Lamination of style, anti-uv and anti-scratch according your choice. 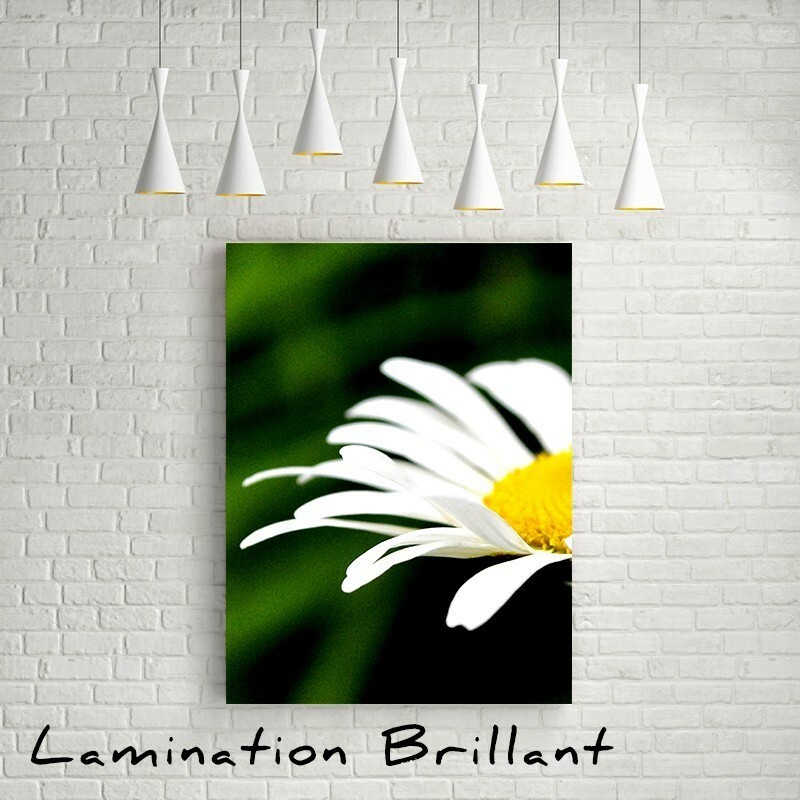 Like a classic photo printing, your poster is bright with few reflections. This finish is perfect to put it on the wall, or in a frame or under glasses. Your poster is covered with a laminate film protecting it against scratches and UV its extending the life of your photos. This birght finish will make the colors more vibrant. Your poster is covered with a laminate film protecting it against scratches and UV its extending the life of your photos. This matt finish accentuates the contrast and eliminates reflection for a very classy rendering. Your poster is covered with a laminate film protecting it against scratches and UV its extending the life of your photos. This satin finish enhances color and contrast while it preserves of fingerprints and reflections. Delivery between 3 to 8 days. To send your file, use the tab CUSTMIZATION BELOW. In case of troubles, we will contact you within 48H.